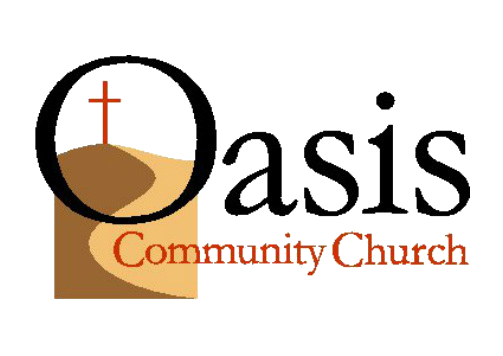 It’s hard to believe that it’s been 17 years since the Oasis folks first began this faith journey together. (Excuse us as we wipe a tear from our eyes, this is pretty nostalgic for us!) Through a series of God-moment events and conversations (we’ll have to tell you the entire story sometime, but it takes over an hour to do it justice), Jim and Ann Miller determined that God was moving them from the heart of the Midwest (Indianapolis, indeed!) to Gilbert, AZ to pursue what an intentionally loving community might look like. We held our first worship service at Shumway Elementary School, later met at community center, a dilapidated theater (six months of sticky floors), someone else’s church building on Sunday evenings (during the D Backs World Series run), settled into Ashland Ranch Elementary School for the next 12 years, and then moved to Baker School of Music at the San Tan Mall. Now we have taken the next step on this adventure of becoming family, and have moved Oasis to our homes, where love and family can happen ore naturally. The “where” has never been all that important to us, it’s the “who” we believe that defines us, and the relationships with our faith family that provides the atmosphere where the Father can transform us. We call his a journey because we have come a long way from where we started. From the very beginning of this community, we have prayed that God would make us into the church that he desired, not that we wanted. And like a sculpture, God has chiseled off the unnecessary and continues to shape us to look like something we never anticipated. We have come to value small, because small is where the kind of relationships we need happen best. We value natural, looking to see where God takes us rather than making our plans and asking God to bless them. We value doing life together, being involved in each others lives on a daily basis and not having Sunday morning as our primary focus. And we have come to value being the kingdom over running programs, each of us being Jesus in the web of relationships that make up our lives. The great and scary thing is that we haven’t arrived yet. The journey continues, the adventure stretches out in front of us. And it’s always fun when fellow travelers hook up with us along the way, and we get to share life and faith and family together. Followers of Jesus doing their best to love God, love each other, and bring hope and life wherever we are. Mission statements are all the rage right now, and this is ours. Well, it’s one we’re at least growing into. 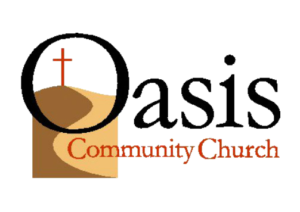 God has brought about some significant changes in us as a family since Oasis first started 17 years ago. What we have come to realize (and you might want to sit down for this because it’s pretty profound) is that relationship is everything! What every follower of Jesus needs is connection to other followers of Jesus to love and care for each other, to discuss and apply what Jesus says to us, and to discover how to bring God’s kingdom to our community. If you have that with a group of other Jesus followers, we think you have a church. That’s why we’ve chosen to describe ourselves using a three legged stool. Yes, you read right. A three legged stool. (And you have to say it “leg-ed for full effect!) So what’s a stool with three legs have to do with what we want to be as this connection of followers, as a family? Well, the three legs are the three things we think we most need to get after, that we want to define us as a faith family. Take away any one of the three legs and the stool, well, falls over. It isn’t in balance without them all. Jesus said that the thing we all need the most is to love God with all our heart, soul, strength and mind. You’ll hear us talk a lot about How God is our Father and we are his children and how that reality should impact everything about our worldview and lifestyle. We see following Jesus as an “all-in” kind of commitment, not as casual adherence to a new set of rules, but a loving relationship with a God who transformed us! When Jesus calls people to follow him, he’s inviting us to an adventure that requires a wholehearted response. But it also requires grace and understanding. Even with the “want to,” letting faith define each area of our lives is a process, something we grow into as God transforms our hearts and minds on a daily basis. When the early Christians were warned to not stop gathering together but to encourage each other to find ways to love and do good, we think that had little to do with going to a weekly program and everything to do with not trying to follow Jesus by yourself. The life of faith is not something you can do alone, it can only be done with the love, help, and encouragement of others. That’s why you’ll hear us use the word “family” a lot around here. We want to get away from the idea of church being about meetings, programs and organizations, and more about genuine, caring friendships that go way beyond the superficial. We’re trying to intentionally and naturally do life together, because if there’s one thing we’ve discovered it’s that we really do need each other. God is up to something. Moved by a great love for his creation, the Father has initiated a movement of grace and mercy to which all of history is connected. And he has called us to play a part in His great story. We use two phrases to capture our part in this adventure: The Great Commission, a heart to let others know that it is only through the grace of God that we have found hope and life; and The Great Compassion, a heart to bring hope, compassion, healing and justice to those who are hurting, lonely, oppressed and imprisoned. The followers of Jesus are to be his presence in this world, loving as he loved. Both as individuals and as a group we are trying to be aware of the kingdom opportunities God brings our way. We believe in Jesus Christ as God dwelling among us; in His virgin birth, sinless life, miracles, and death on the cross to provide the forgiveness needed to restore relationship with the Father; in His bodily resurrection and ascension into heaven; in His present ministry of representing us before the Father; and in His promised return to earth in power and glory. We believe in the person and deity of the Holy Spirit, that He performs the miracle of new birth in lost people and lives within followers of Christ, enabling them to grow into being like Jesus. We believe that all people are created in the image of God and are created for the purpose of relationship with God. We are, however, all separated from Him because of our sin. Only through faith, trusting in Christ alone for salvation, made possible by His death and resurrection, can that relationship be restored. We believe that the Bible is God’s written Word to the world revealing His character and purposes. We believe it is verbally inspired, authoritative, and without error in the original manuscripts.